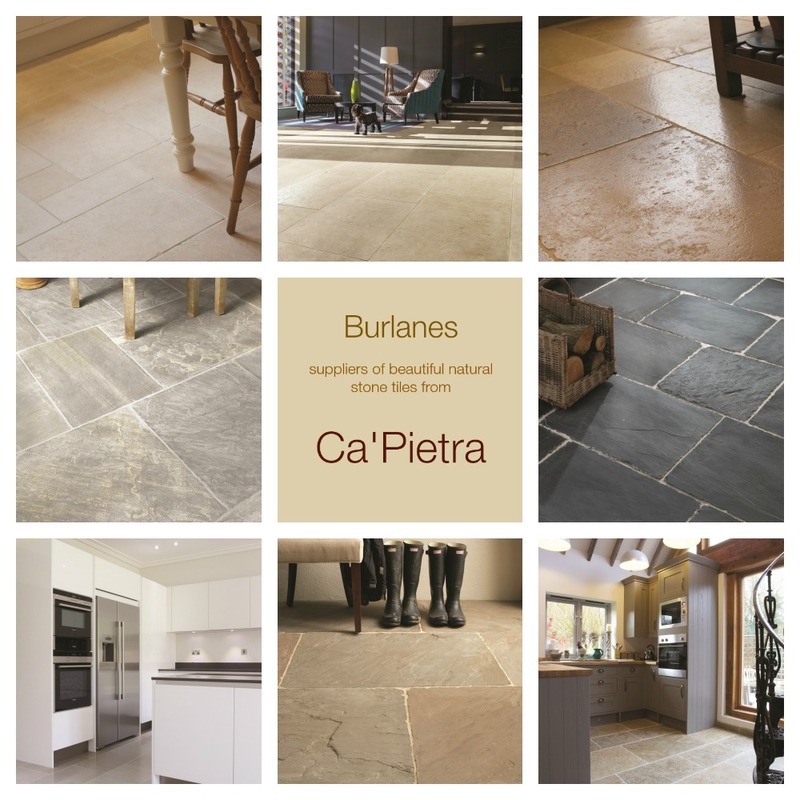 Burlanes are one of the only suppliers of Ca’Pietra tiles in the Kent area and we deliver anywhere. Whether you're looking to incorporate tiles into your kitchen or bathroom design or planning a major refurbishment with stone throughout, you’ll find something in the Ca’ Pietra collection – there are stones, porcelains, tiles and mosaics at great prices with all the technical support you need. You can see examples of these beautiful tiles in our Sevenoaks showroom. “I’m biased, of course, but for me it’s not a choice between stone and other materials when it comes to kitchen floors. The choice you have to make is which stone, which stone finish, and which pattern,” says Hamish who have been sourcing, cutting, finishing and installing natural stone for 25 years. So we challenged Hamish to give us 10 good reasons why he’d choose stone, and then an insight into how he would go about selecting and specifying the perfect kitchen floor. 2. It looks fantastic straight away. 3. There are no two pieces the same. Consistency has its value – but with stone, the consistency is in the quality and the interest, not necessarily the surface pattern. By its nature, each and every piece of stone is unique which makes it…. 4. Absolutely fascinating to look at. Make time to enjoy sitting and staring at your new stone floor, because it’s going to be a thing of beauty. And everyone knows that a thing of beauty is…. Not all beautiful things are actually a joy forever. But natural stone is. You can let your stone acquire an aged patina, or you can maintain it so that it looks exactly the same for many, many years. It may need a little bit of care and attention to stay at its best, but it is…. 6. Incredibly easy to clean. A quick sweep or vacuum and a quick wipe with a mop and your stone kitchen floor will be clear and clean. Of course, you may occasionally have to sweep up a bit of broken crockery or glass, because stone is…. 8. Stone works beautifully with underfloor heating. 9. The best of both worlds. 10. Natural stone is fantastic value for money. For durability, long-term value and the sheer pleasure a really beautiful stone floor brings, nothing can match stone for value for money. Tips for selecting and specifying a stone floor. Apart, of course, from the infinite permutations of the natural tones and patterns, there are a number of key decisions to make when you decide to use natural stone in your new kitchen. You can narrow down your choices by thinking through the following. If you are using a kitchen designer they will have views on all of these factors. Limestone is the classic stone. But there are also variations of limestone from pale white through to dark grey, and variations in hardness and durability, so it’s not simply a case of deciding on a stone type. Your kitchen is bound to be an area of heavy ‘traffic’, and a place where the occasional pan will be dropped and foodstuffs spilled. Whether it is limestone, marble or terracotta, you should select a very hard-wearing stone. If you are creating or matching a lived-in look, then a classic pattern using sets of three different size stones, or random length stones will give an immediate sense of permanence and even antiquity. For a contemporary kitchen you may want to look at larger, symmetrical tile sizes. Larger tile sizes can increase the feeling of space. Smaller tiles can take a little longer to fit. There will be more cutting of tiles but, depending on the precise dimensions of the space, may end up with less wastage that large slabs of stone. Ca'Pietra has at least a dozen different types of surface finish, ranging from honed (that is highly polished and smooth) through to worn and weathered finishes which replicate the process of hundreds of years of ageing. Smoother finishes can be incredibly easy to sweep and mop, and if they are sealed from the beginning then they will barely change at all over the years. More textured surfaces hide the dust and dirt well but may take a little more effort to clean. At some point you’ll also need to decide things like whether to seal the stone; the type/colour of grout that you use; the width of joints; whether to install underfloor heating. The more you talk through your floor and all of the practicalities of using stone at the beginning of your project the more satisfied you will be with the end result. It is a job for experts and you must be confident that your installer has plenty of experience with stone installations.